Following a year-long period of intense work involving data collection, analysis, consultation and forward planning, Institute of Technology Carlow has submitted its application for the Athena Swan Bronze Award - the gender equality benchmark - to the Advance Higher Education’s (HE) Gender Equality Charters Team. In doing so, Institute of Technology Carlow has become one of the first in the Irish technological sector to make an application. The Athena Swan award panel will evaluate the Institute’s application and a decision on the awarding of a Bronze Award will be made in the first quarter of 2019. 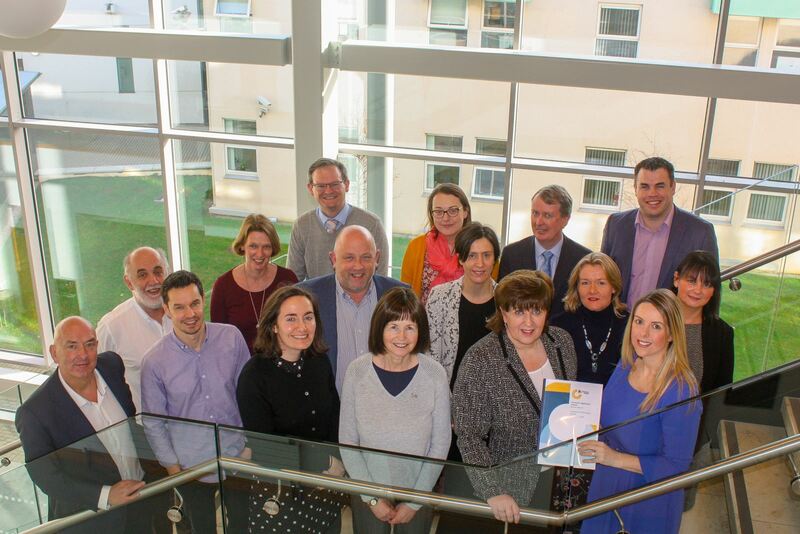 The 12-month Athena Swan application process was led by Dr Allison Kenneally, Director of the Office of Equality, Diversity and Inclusion (EDI) at Institute of Technology Carlow, alongside an Institute-wide, 24-member self-assessment team which prepared the application. They were supported by the EDI Steering Committee which put the necessary resources and supports in place to enable the SAT to make the application. In addition to its Athena Swan application, the Office of EDI created the Institute’s first Gender Equality Action Plan (GEAP), which has been adopted by its Governing Body. Institute of Technology Carlow is already progressing the actions resulting from its equality action plan, which will see the establishment of new structures, policies and practices to strengthen the Institute as it progresses towards Technological University designation. Commenting on the Institute’s Athena Swan submission, Dr. Kenneally said, “We have now established clear priorities in our efforts to embed the Athena Swan principles at Institute of Technology Carlow. I’d like to extend my thanks to the President of Institute of Technology Carlow, Dr. Patricia Mulcahy, for her leadership on this journey”. Currently, Institute of Technology Carlow is one of just two institutes in the Irish Higher Education system with a female president. Dr. Mulcahy served as the Institute of Technology (IoT) sector representative on the National Taskforce on Gender Equality in Higher Education, whose report was published last month, and established the Institute’s Office of EDI in October 2017. The values of EDI have been explicitly included in Institute of Technology Carlow’s new Strategic Plan (2019-2023), Gender Equality Action Plan (GEAP) and Graduate Attributes Statement.